What Is The Dyatlov Incident? 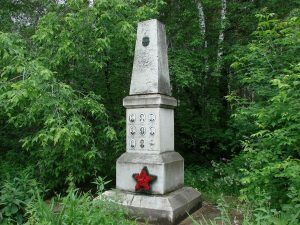 Nine hikers died on February 2, 1959 in the Ural Mountains–but no one knows why. After a lengthy investigation, researchers on the case concluded only that an “unknown compelling force” led to their deaths. The details of the case only get weirder from there on out, but first and foremost, know this: these weren’t first-timers. The nine hikers were experienced, and they knew what they were doing. So what did the scene look like when the nine hikers were found? First, they did not all succumb to death in the same way. While most died of hypothermia, three died of physical wounds, and those wounds only lead to more questions. One of the dead hikers had cranial damage. Another had no obvious trauma to the skull, but suffered brain damage. A third female hiker seemed to have had her eyes and tongue ripped out. One had a crushed chest. On top of these strange injuries, one must consider the circumstances under which they fled from the relative comfort of their tents. It was snowing heavily at the time, and temperatures were well below zero. Experienced hikers would have known to stay indoors. Did a yeti attack take place? It sounds absurd, but some theorize an animal attack may be the most likely explanation. Others believe that the military had a part in the nine deaths. There are other possibilities. A fierce avalanche could explain some circumstances of the scene, while infrasound-induced panic could explain others. No matter what one concludes, the mystery simply cannot be neatly unpacked and wrapped with only the evidence we have right now. When they fled the tent, they were either in socks or barefoot. Investigators believe the tent had been cut open from the inside, although when they arrived on the scene the tent was partly on the ground and covered from snowfall. That’s not too surprising since the attack likely happened before February 12, when the group expected to be back, and rescuers only descended on the camp on February 26. Two bodies were found at the edge of a nearby forest, in only their underwear. Before they succumbed to nature’s wrath, they had managed to keep a small fire going. Three more bodies were discovered in between the camp and the forest, at varying intervals. The other four were not located for months. Nature had dumped four meters of snow over their bodies. They had managed to make it 75 meters farther than the first two who died at the edge of the forest. Take it for what it’s worth, but a different set of hikers fifty kilometers away saw orange spheres in the skies where the Dyatlov incident took place. These same spheres were reported being seen nearby during February and March of the same year. These weren’t just crazy-people sightings, either. Both the military and meteorology services operating in the region confirmed the strange phenomenon. Whether it has anything to do with the Dyatlov incident is of course a big fat unknown. What did happen? We don’t know, and probably never will. All current theories seem to have been disproved. While someone might initially say to themselves, “it was obviously drugs,” that wasn’t the case either. Nothing like that was found in the remains of the tent, not even a drop of alcohol. The group even refused to smoke cigarettes while on their hike. This mystery is one for the record books. Previous Previous post: Should We Take Another Look At the Rosenberg Espionage Trial?